With the ability to apply Hi-Gloss, Satin or Matte coating almost on any printed sheet with ease, the Tec Lighting XtraCoat 18″ Offline Auto Feed UV Coating system was designed with your needs as a priority. This UV Coater has the ideal combination of performance and affordability that will allow you to increase your capability and profit, all in one package. The Tec Lighting XtraCoat 18″ features a three roll coating system capable of UV and aqueous coating and runs smoothly with a 1/2 HP DC drive motor, with variable speeds that reach up to 100 feet per minute. It will practically run itself with the automated deep pile feeder with double sheet detector. 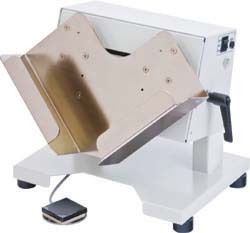 Plus, your sheets will come out clean and waste no materials with the AGFA (SS) doctor blade continuously cleaning the impression roll while the stainless steel drip pan and pump recirculate your coating. Lamp change is a breeze with a quick lamp change housing assembly for the built-in 3 lamp curing system. And, you’ll be pleased with the safety features on this auto feed model. The 18″ Tec Lighting XtraCoat Auto Feed is built on a sturdy welded steel frame on caster wheels, has an exterior e-stop for operator safety, fully guarded roller mechanism with safety inter-lock, and plexy glass splash and hand guards. The Tec Lighting XtraCoat 18″ Offline Auto Feed UV Coating System costs $23,900 at Lloyd’s and comes with a 1-year warranty on all parts and labor except UV arc lamp, which carries a separate 1,000 hour warranty & 500 hour warranty on manufacturer’s defects for roller assembly only. For more information on the Tec Lighting XtraCoat 18″ Offline Auto Feed UV Coating System or to place an order, please visit the Lloyd’s website.